I’ve been waiting for a Jim Shepard novel since Project X, his searing portrait of misfit boys and their ultimately violent reaction to their isolation. The Book of Aron continues with the misfit boy theme, with the eponymous Aron growing toward his teen years in Warsaw’s Jewish ghetto, providing for his family through smuggling and theft, his gang a ragtag affair who are streetwise and not averse to violence to protect their interests. But Aron is pushed and pulled by many forces: the Gestapo, the Jewish police, his family, the smugglers, and the brutal exigencies of life under German rule. Balancing these forces is a difficult task for a sensitive boy, and Aron finds himself in deep trouble, alone and subject to the realities of Polish winter. All this sounds grim – and it is an astonishingly harsh world – but Aron is rendered with tenderness and depth and Shepard does not shy away from the dark humour in all of it. I found myself wiping away tears alternately from laughter and sadness, and re-reading sections for the precision and beauty of the prose. 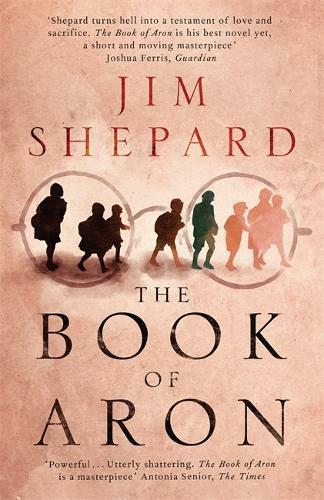 When Aron finds a place at the orphanage of doctor Janusz Korczak, an advocate for children’s rights, Shepard brings greater moral depth to the suffering and elevates what is already a richly observed historical piece. This is a masterful work, clinical in its detail and unflinching in its depiction of human cruelty. But it is much more too, as a portrayal of our capacity for ingenuity, for survival, and, ultimately, to love unconditionally no matter the horrors foisted upon us. I loved this book so much, I sincerely hope you all do too.